The British Council and the Foundation for the WA Museum are looking for passionate STEM researchers with a flair for public engagement to compete in the 2019 round of its international science communication competition, FameLab. Created by Cheltenham Festivals and co-produced by the British Council, FameLab has been running in Australia since 2014. Over 200 early-career researchers have gone through FameLab’s expert training and presented their research on stage, entertaining thousands with their fascinating stories of science. The competition offers comprehensive scicomm training and access to a global network of like-minded peers. The winner of FameLab Australia will win $1,000 and a fully paid trip to UK to represent Australia at the FameLab International finals! 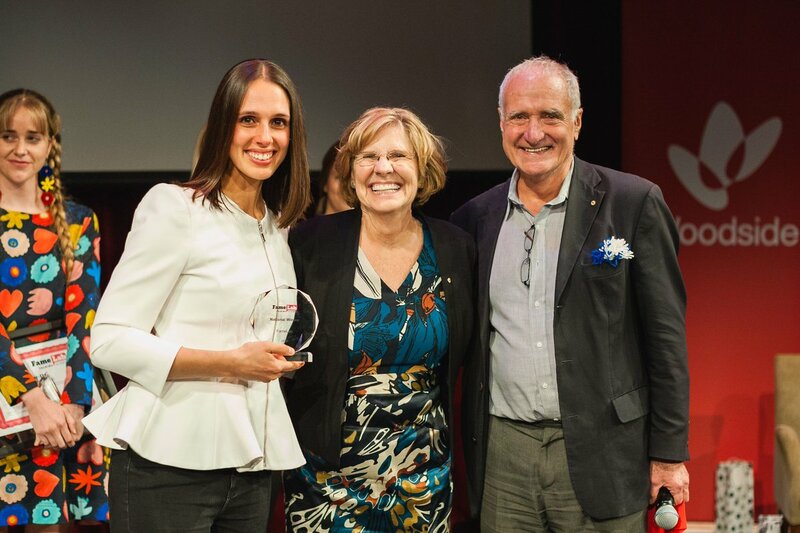 2018 Australian winner Vanessa Pirotta went on to beat off competition from thousands of applicants from across over 30 countries and was named joint runner-up of FameLab International. The marine biologist from Macquarie University’s Marine Predator Research Group fascinated the crowds at the Cheltenham Science Festival with her buzzy three-minute presentation about her research that investigates using drones to collect health information from free swimming whales. Using a custom-built drone, Vanessa’s research is transforming the way scientists collect health information from whales. Since participating in FameLab, Vanessa has gone on to communicate her research to expert and general audiences, including through media interviews. A passionate advocate for the power of science communication, Vanessa says her FameLab journey has been wonderful and exciting. “I have thoroughly enjoyed meeting other contestants from all around the world and am truly honoured to have represented Australia and to have won International Runner-Up,” she says. If you’re passionate about science and think you can explain your research to a general audience in just three minutes, FameLab needs YOU! Image courtesy of FameLab Australia.